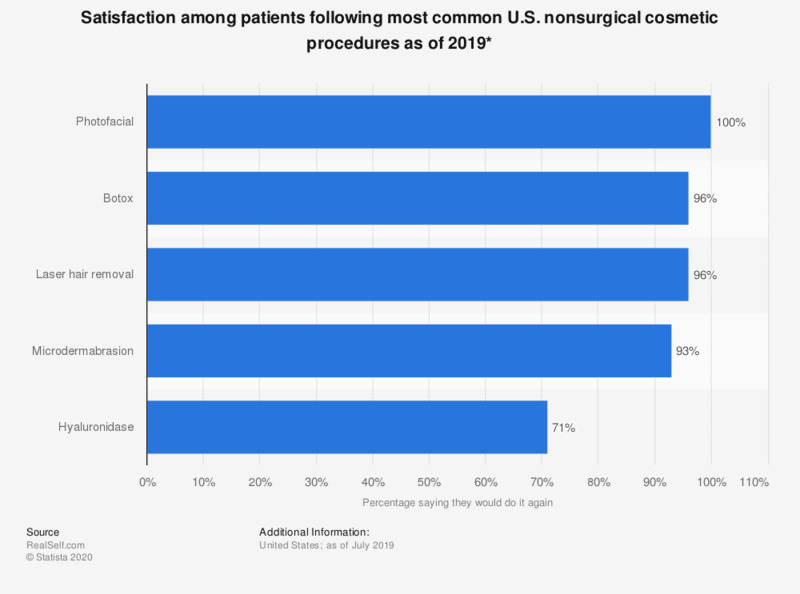 This statistic shows the percentage of patients who had nonsurgical cosmetic procedures who said that the procedure they had was worth it and that they would do it again. The highest satisfaction rate was for photofacials for which 100 percent of patients reported that they would do it again. * Worth It Ratings are expressed as a percentage, for example, an 80% Worth It Ratings means 8 out of 10 patients would do it again.